Rumors of a deal between Amazon and Rivian began to circulate earlier this week, though some reports had suggested that General Motors would also come up with some financing. 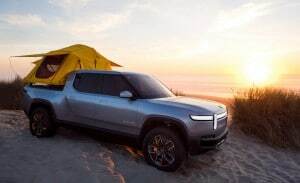 Sources tell TheDetroitBureau.com that this remains a possibility and suggest that Rivian could have more announcements coming. The automaker has scheduled a news conference for the New York International Auto Show in mid-April. Amazon is no stranger to the auto industry. 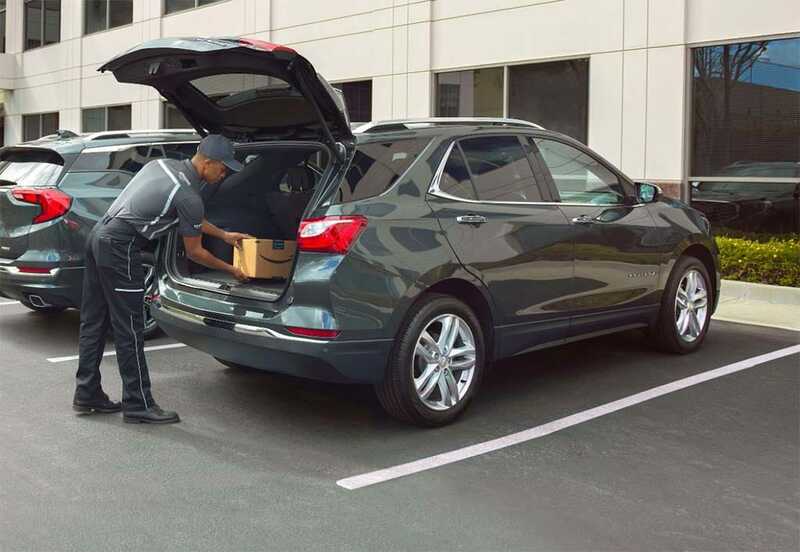 Its In-Car Delivery service works with 2015 and later GM and Volvo models with active telematics subscriptions. Rivian created quite a buzz when it revealed the R1T and R1S at the Los Angeles Auto Show last November – well ahead of Tesla which is expected to unveil its own all-electric pickup later this year. The two trucks share the same “architecture” and, at least initially, will feature 180 kilowatt-hour battery packs, almost twice the size of the largest pack currently offered by Tesla. That will be more than enough to deliver a range of 400 miles under optimal conditions, according to Rivian CEO RJ Scaringe. Performance will rival a Tesla Model X SUV with Ludicrous Mode, Scaringe claiming the two trucks will hit 60 in 3 seconds and 100 in less than 7 seconds, with a top speed of 125 mph. They will, meanwhile, be able to tow up to 11,000 pounds. But it’s not just Tesla that has to worry about the potential for new competition in the battery-electric vehicle, or BEV, space. It “could be a serious problem for the Detroit” automakers as well, Morgan Stanley’s auto analyst Adam Jonas told CNBC earlier this week. Americans bought 2.7 million full-size pickups in 2018, including light, medium and heavy-duty models. Detroit’s Big Three, GM, Ford and Fiat Chrysler, produced more than 90% of them. How consumers might respond to the planned Rivian and Tesla all-electric pickups is far from certain, nonetheless. Across all vehicle segments, plug-based models – which include plug-in hybrids, as well as BEVs – generated a little more than 2% of U.S. new vehicle demand in 2018, but the segment has begun to grow rapidly and is expected to pick up pace as more products start to reach showrooms between now and 2025. “The $700 million funding round, led by Amazon but including others, demonstrates investor and industry confidence in Rivian’s model and the initial products shown,” said Stephanie Brinley, principle analyst with IHS Markit. 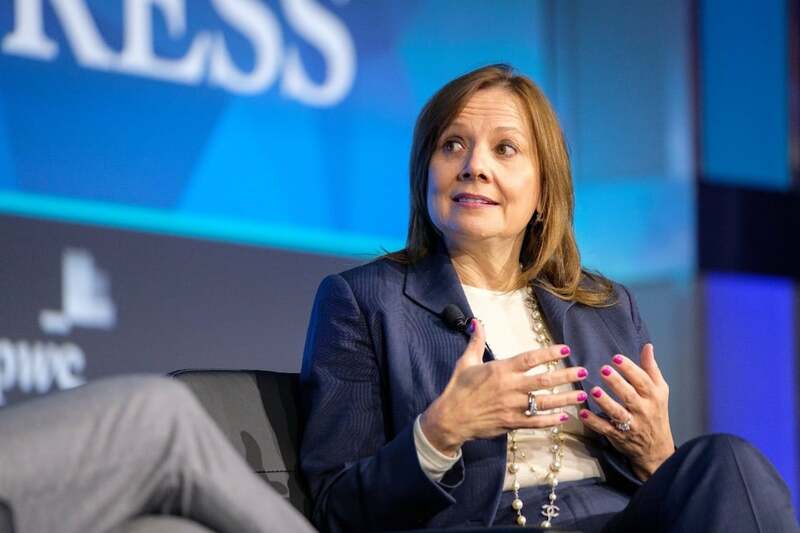 GM Chairman and CEO Mary Barra continues to reshape the company, and investing in Rivian certainly is within that realm. A statement issued by Rivian did not indicate who any other investors might be in the new, $700 million round of funding, nor did it break out Amazon’s own investment. The move comes as something of a surprise – but perhaps less than it might have been just months ago. Only last week, the online retailer teamed up with venture capital firm Sequioa, Lightspeed Venture Partners, Shell Ventures and others, to take a stake in Silicon Valley start-up Aurora. That company is developing autonomous vehicle technology. Amazon has not outlined its strategy but it becomes the latest tech giant to pump money into what has become known as the “new mobility” sector. Alphabet, the parent of Google, recently launched the world’s first autonomous ride-sharing service, Waymo One, in the Phoenix area and is expected to roll that out to 20 more cities in the next few years. Amazon does have an interest in transportation and has been looking for ways to change up its delivery methods which currently rely on traditional partners such as the USPS and UPS. But how Rivian might play into that is uncertain. It is possible that Rivian might be tapped to provide all-electric drivetrain technology that could be incorporated into still other types of products, perhaps an autonomous light commercial vehicle that would also use technology from Aurora, one source suggested. What future announcement Rivian is working up is not certain, but it could cover both additional funding as well as manufacturing. The company recently purchased the old Mitsubishi assembly plant in Normal, Illinois, but is thought to need but financial and technical help before it can actually start rolling vehicles out of the plant. This entry was posted on Friday, February 15th, 2019 at and is filed under Automakers, Automobiles, Business, EVs, Electrified Vehicles, Executives, Funding, GM, Investors, Markets, Personalities, Rivian, Sales, Technology, Trends, U.S./North America, Waymo. You can follow any responses to this entry through the RSS 2.0 feed. Both comments and pings are currently closed. I can’t help but think it’s embarrassing that General Motors has been making Chevy trucks since 1918, that’s 101 years this year, and they need a startup that has never created a single production truck to show them how to make a truck with electric motors instead of an internal combustion engine??? Just staggering to me. GM created the idea of the skateboard for electric vehicles that Tesla and other electric car companies use. The Chevy Bolt already has a working power control system and a 60KwH battery. Why is the hell would GM want or need to invest in Rivian for electric trucks?? If Mary Barra does that, I will lose my considerable respect for her. Dan, As you can see, GM did not join the initial round the other day. Let’s see if they do, indeed, go with Rivian or decide to do this entirely in-house. That said, turning to an outside company that has already done the heavy lifting may make sense v starting entirely from scratch. While GM IS developing a new, modular electric architecture that can cover a wide range of products it likely would not include such heavy lifters as a Silverado/Sierra or Suburban. If Rivian’s platform is as good as it comes across, it may simply be more expedient and cost effective to adopt its platform. Recall, throughout its history, GM routinely acquired companies that had answers it didn’t including Fisher Body. So, such a move would actually echo what the company did when it was at its most successful.